This article is about the locality. For the lake, see Lake Cootharaba. Cootharaba is a suburb of Noosa, Queensland, Australia. 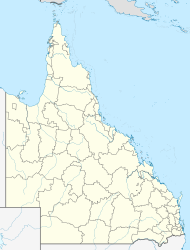 It is within the local government area of Shire of Noosa (between 2008 and 2013 it was within Sunshine Coast Region). At the 2011 Australian Census Cootharaba and surrounding suburbs recorded a population of 791. Lake Cootharaba forms part of the south-eastern boundary of Cootharaba. A section of Tewantin National Park has been established in the southwest of Cootharaba. It is named after the Aboriginal name for the lake, which referred to the place where wood could be found for making notched or studded clubs. ^ a b Australian Bureau of Statistics (31 October 2012). "Cootharaba (State Suburb)". 2011 Census QuickStats. Retrieved 15 October 2014. This page was last edited on 28 October 2017, at 17:07 (UTC).